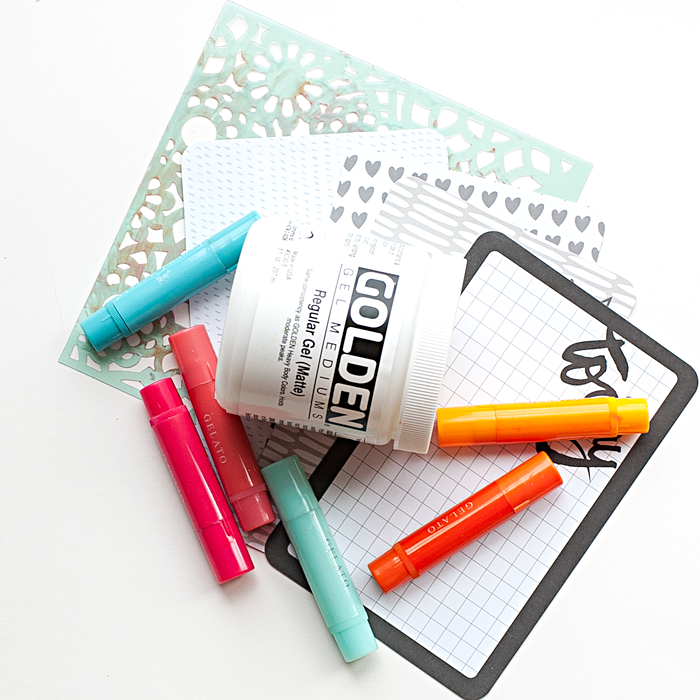 Can you believe there are still more things you can do with the Faber-Castell Gelatos? 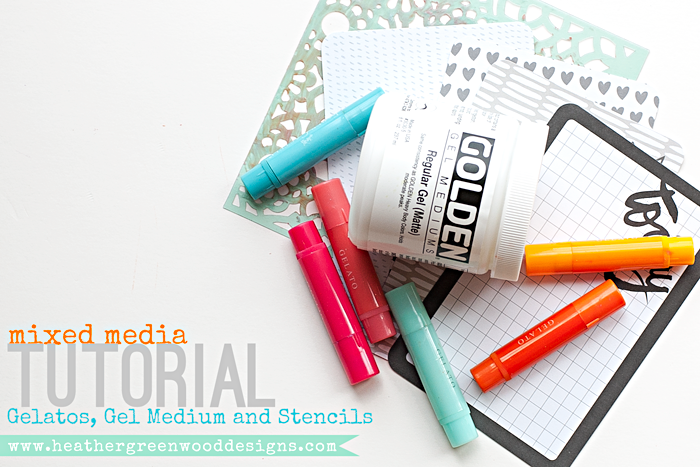 I've got another mixed media tutorial using Gelatos for you today. 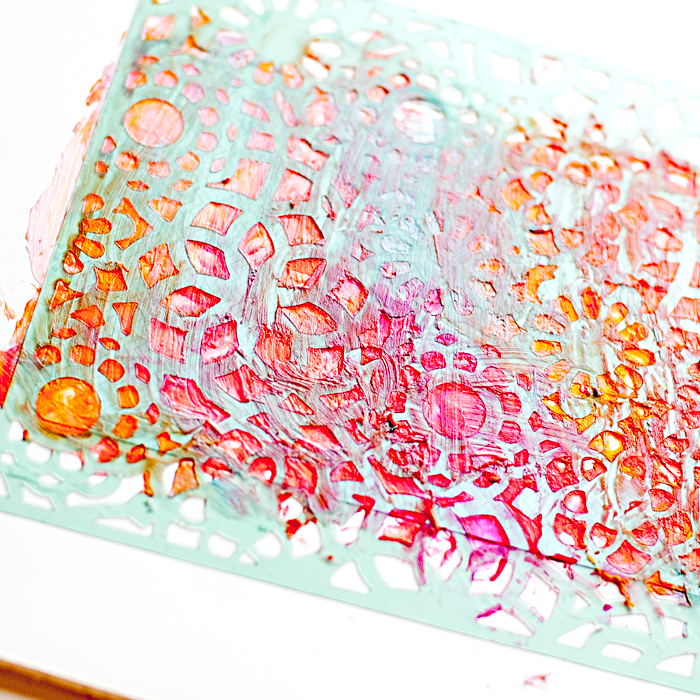 I'm going to alter another Project Life journal card using stencils, Gelatos and gel medium. On Monday I'll share with you my finished card when I share my Project Life pages from week 19. I think it might be my favorite card ever! It matches so perfectly with our tulip garden photos from the Tulip Time festivities in Holland, MI. I'm using a Becky Higgins Project Life Journal Card from the Midnight Core Kit - Amazon , Simon Says Stamp, 2Peas; Golden Brand Matte Gel Medium ; an assortment of Faber-Castell Gelatos - Amazon , Simon Says Stamp, 2Peas; some popsicle sticks I stole from the kids' homeschool cabinet (giggle); and the Heidi Swapp Doily Flower 6"x6" stencil - Amazon , Simon Says Stamp. Note: I'm using posterboard for photography purposes, but I highly recommend using a craft mat or palette paper pad. The first thing we're going to do is to color our gel medium. I wanted a fun mix of color since the photos had so many different colors of tulips. I put four "globs" of gel medium on my mat. 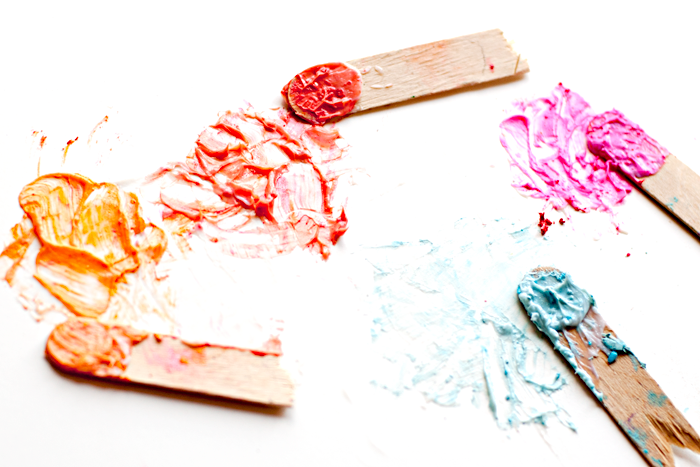 The next thing you're going to do is use your palette knife or popsicle stick to shave off some of the gelatos. A little bit goes a long way, so you really don't need to shave off much. 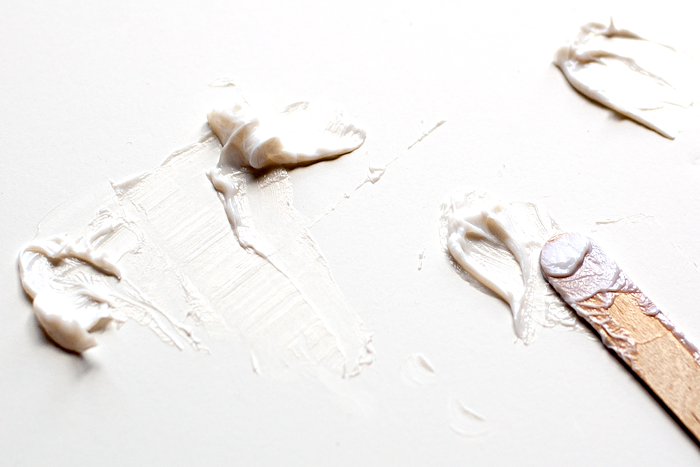 Blend in the shavings with the gel medium. It's so vibrant and beautiful! YUM! After you've colored your gel medium, you want to pull out your stencil and put it over your piece of paper or journal card. 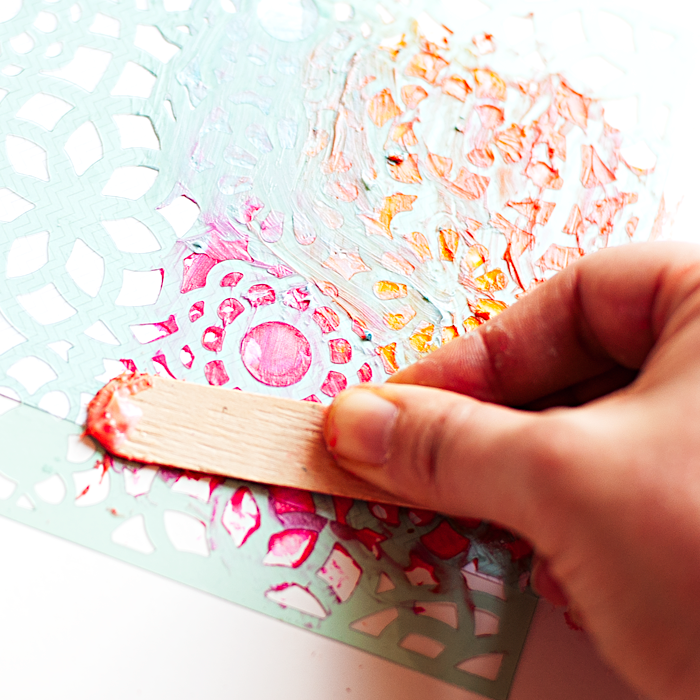 Using the palette knife or popsicle stick, spread the gel medium over the top of the stencil, filling in parts of it or all of it. Blend in the colors a bit by spreading over the edges of some of the different colors. 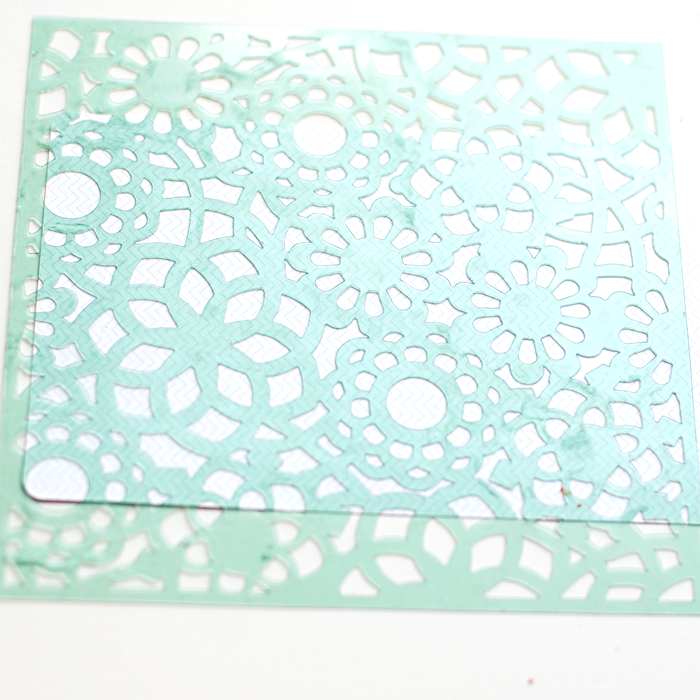 After you've filled in the whole card or only spots you wanted to fill, pull off your stencil. VIOLA!!! You now have a beautifully textured journal card. Set it aside for a few hours to completely dry before you do any other alterations to it. 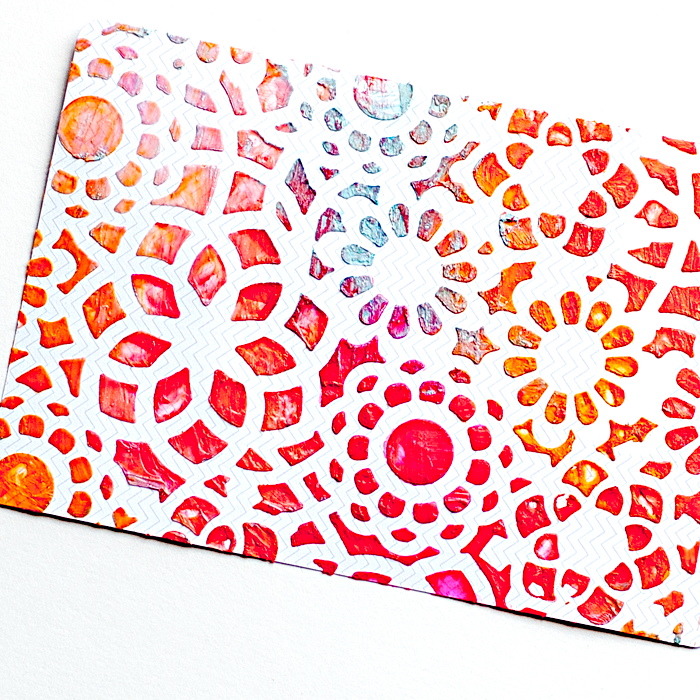 Once dry, you can doodle around the pattern, or paint with Gelatos, or rub some more Gelatos in. Since the gel medium isn't water-soluble, you'll be able to do other wet mediums over the top and it won't bleed. You'll see on Monday when I share my week 19 pages, that I sprayed green mist over it and then wiped off the mist on the gel medium part. I also doodled around the pattern. I really love how this card turned out after adding a beautiful photo of my girly girl at the tulip gardens and the little details!